As I mentioned in my Year in Review post, it's been a good year (despite a rocky start). Below are my Top 10 Kodak Moments. I grew up in California, and I can't tell you how many times I've been to Disneyland (at least 5 that I can think of). 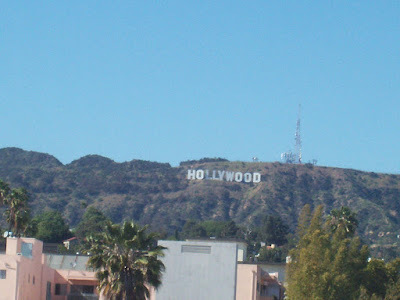 But I had never seen the Hollywood sign until this year. I was so happy to catch a decent shot of the famous sign from a moving bus. Despite being in charge of 30-something teenagers, the trip was actually quite fun. I remember going to Daffodil Hill years and years ago, as a kid, but in recent years, it's always so busy and crowded, so we never really went back. 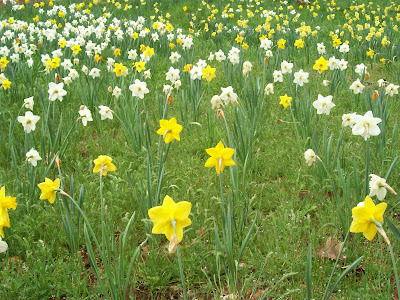 Daffodils became my favorite flower when I spent a semester in London in 1999, so going to Daffodil Hill this year was a treat. Daffodils everywhere, of every variety. Lovely! And according to the people who work there, this wasn't even their best year! Meeting Jamie and Tiff, showing them around the City by the Bay, and attending the NASCAR race at Infineon made for a great weekend. 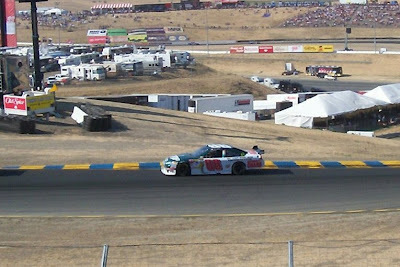 Seeing Junior in the National Guard/Amp #88 was awesome. My last day at Oy Vey High School came on June 12. School let out at 12:39, to my intense relief. Finally, I was finished with a job that made me miserable, and even though I didn't yet know where I would end up, I knew I'd be better off. 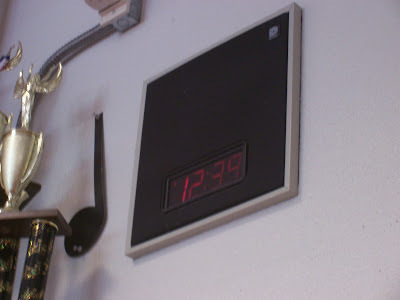 I took a picture of the clock to commemorate the moment at which I knew I had made it. In May, Mom, Dad and I met the fine people of A Chance For Bliss, and we have forged a friendship that I hope will last for a while to come. Woody, Deanna and Guy are 100% committed to giving their animals a good life, whether the animal is there for three days or three years. 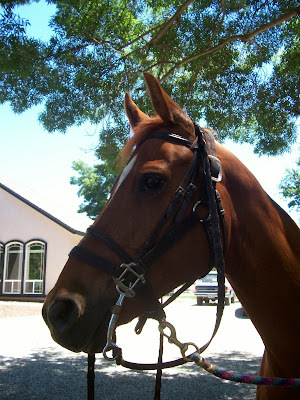 Mom and I just love the smell of horses, and the thrill of winning the trust of a skittish horse is marvelous. Back the Beagle! 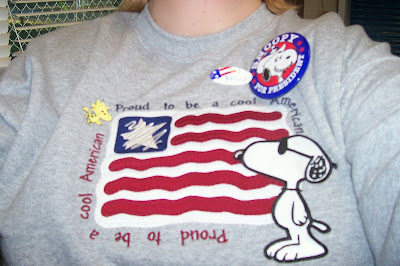 When my students asked who I had voted for, I responded, "Snoopy." Hey, it's none of their business! Election Day was exciting for me this year--it was such a passion-charged election, with record turnouts in some places, and history was in the making. I couldn't help but be thrilled to live in a country in which I have the right to vote at all. There are many in this world who still don't have voting rights. I thank God all the time for my freedom. With my move to Stockton, I gained a craft room. Actually, it's a library/Snoopy Showcase/craft room, but hey, it works. 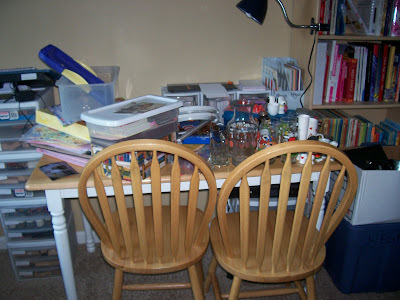 Of course, this was soon after I moved in, and the room is now much more organized. 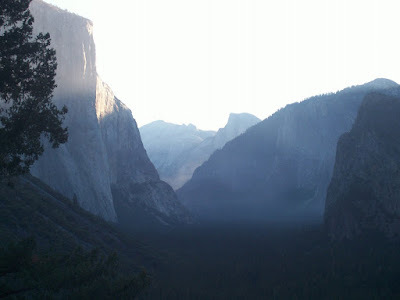 Finally seeing Yosemite was an adventure I won't forget. What a gorgeous place! It is truly a gem in a state full of beautiful places. I can't wait to go back some time. Adopting Harley was, of course, a big moment. 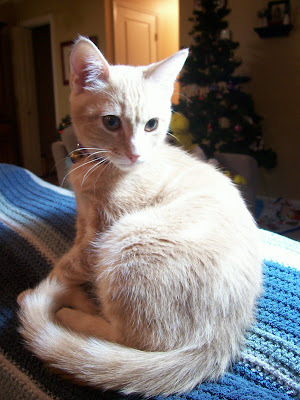 He joins Millie in being one of the most-photographed cats on the planet. The best moment for me this year? 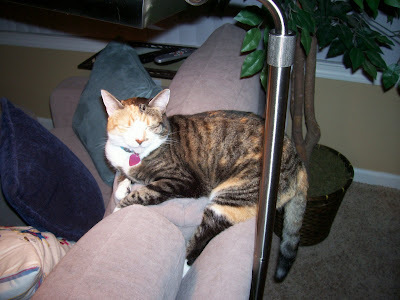 Knowing that my beautiful Millie is feeling better. Here's to many more years with both of my furbabies, well and happy.